Travelling to and from a destination has never been easier as it is with Thomas Cook. Searching for best flight deals? you’ll find a wide variety of exclusive deals at Thomas Cook. Whether it is for a long trip or an hour long one, choosing flight seats needs some consideration on your part. 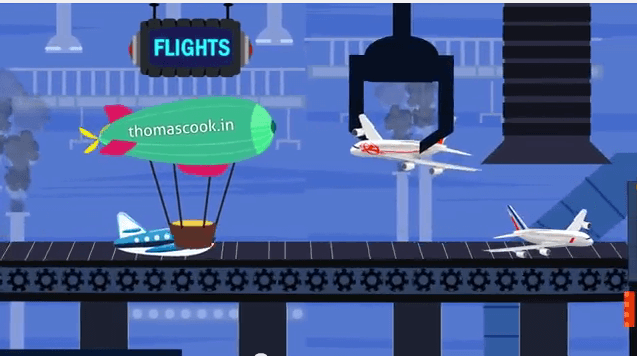 Thomas Cook flights can add ease to your trips as you can conveniently do your flight booking online. Whether you want to make a one way trip or a round-trip, you can check availability of flights and opt for one which suits both your needs and pocket. Thomas Cook can also help you with your multi-city trips if you want to go on a prolonged vacation or on the rushed business tours. Furthermore, the substantial discounts on domestic and international flights offered by Thomas Cook, results in cheap flight tickets. Getting the best flight deals amidst the infernally confusing ticket prices can be reason enough to opt for air travel with Thomas Cook. Getting the best flight deals amidst the infernally confusing ticket prices can be reason enough to opt for air travel with Thomas Cook.